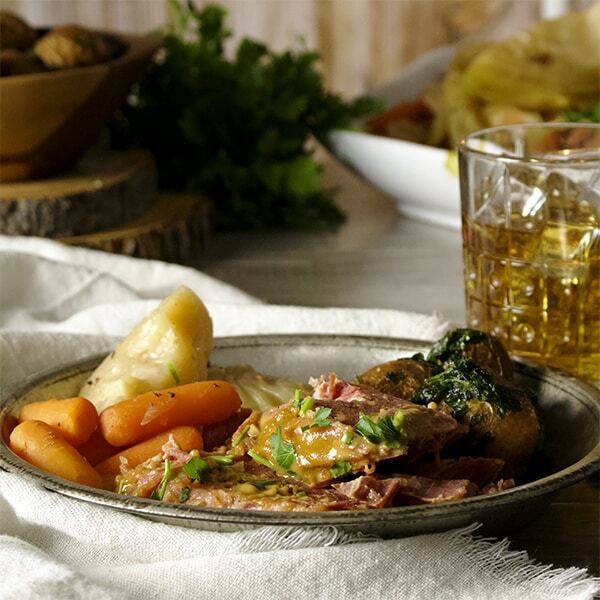 Corned beef and cabbage originated in Ireland as a traditional Easter Sunday dinner, a tradition that, I understand, has waned considerably over the past couple of decades. At least in Ireland. Here in the US, many of us consider it mandatory fare on St. Patrick’s day. I, for one, rarely let the holiday go by without making a super large batch of corned beef and cabbage, intentionally making enough for a couple of days worth of sandwiches following the meal. 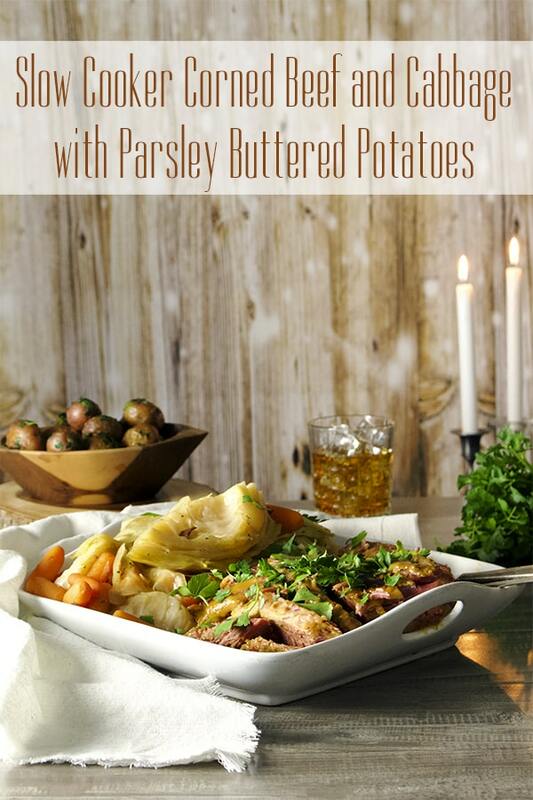 This recipe is just about as simple as you can get, but includes a couple of not-so-traditional elements: a dijon mustard brown sugar glaze and parsley buttered potatoes that are cooked separately from the corned beef and cabbage. This time last year, my husband and I hopped on our motorcycle and rode out to Southern California to visit friends and bask in the sun for a few days. This was a risky endeavor because March is a temperamental month for Colorado and pretty much all the territory between us and Southern California. But whatever. We took the risk. Our plan was to arrive on St. Patrick’s Day where our gracious hosts had planned a traditional corned beef and cabbage feast. In reality, we arrived a day late, the weather forcing us to ride down into Texas before cutting west to avoid a storm. Bummed to be missing my traditional plate of corned beef and cabbage, I was so happy when our friends pulled out the leftovers the next day. The corned beef had been coated with a delicious slightly sweet mustard glaze that was sooooo good it’s changed the way I make this dish. Simply mix a bit of dijon mustard with salt and brown sugar, brush it over the cooked corned beef brisket and place it under the broiler for a couple of minutes. 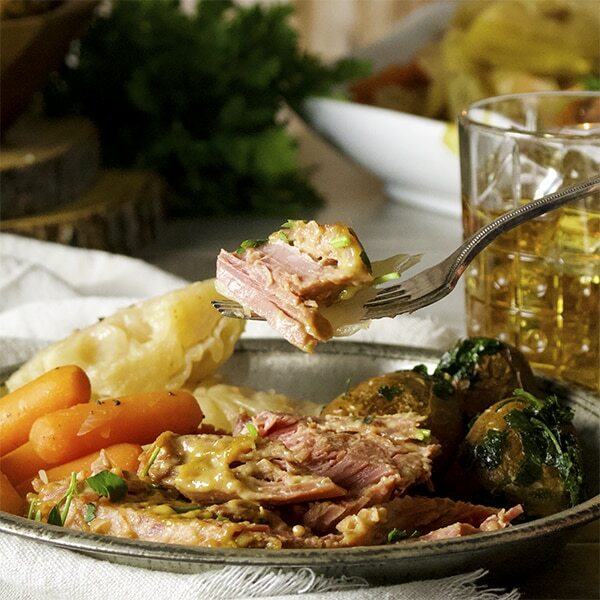 For such simple thing, that mustard glaze is heaven on the salty, tender corned beef. 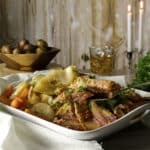 Most corned beef and cabbage recipes that include potatoes (is it even Irish if it doesn’t include potatoes???) 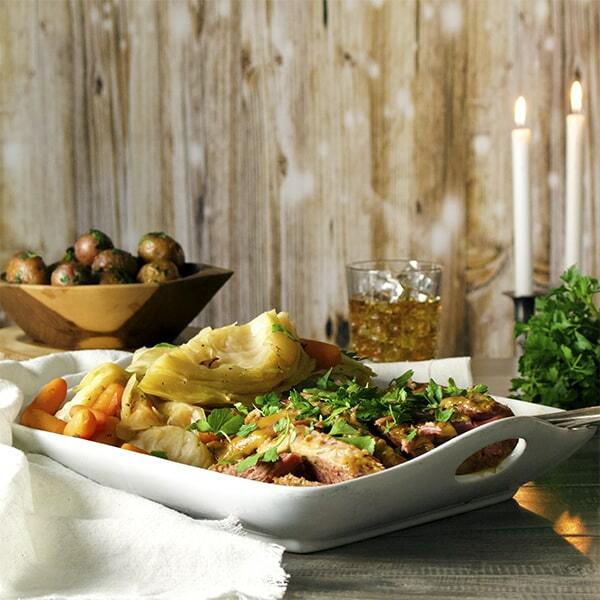 call for the potatoes to boil right alongside the corned beef and cabbage. This is not my favorite way to cook potatoes. When the potatoes boil for a long time along with the corned beef and cabbage they get overcooked and water logged to the point that they just fall completely apart on your fork. Plus, boiled potatoes are kinda bland. I prefer to cook the potatoes separately using a simple method of boiling them for only a few minutes, then finishing them in a skillet with butter and parsley. 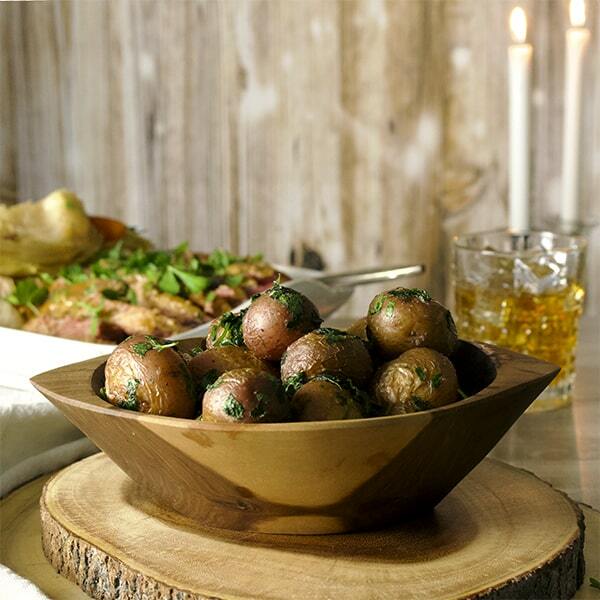 This results in potatoes that are meltingly tender on the inside, buttery, salty, and slightly crisp on the outside. In other words, potatoes perfection. Dear A Little and A Lot – 49 years ago, my mother-in-law served up corned beef with the mustard and brown sugar topping. The only changes I made to her recipe was to cook the corned beef in apple cider and to add whole allspice and cloves, whole black pepper, a cinnamon stick, and two bay leaves. Not very Irish, but sure is delicious. We cook the corned beef the day before and slice it when cold the following day; then let it come to room temperature, top it with the brown sugar and mustard glaze and pop it under the broiler. Like you we cook our potatoes separately, skinned, browned in salted butter in a cast iron pan, and then put into a 350 degree oven until tender. Carrots are roasted whole and the cabbage is coarsely cut, quickly steamed hot but still crunchy and tossed with garlic butter – which comes out very sweet and crunchy. 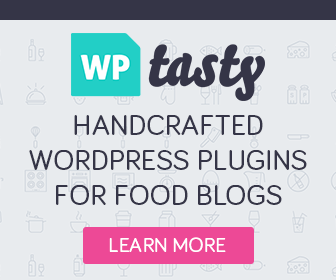 Anyway…it was a pleasure to see this old corned beef recipe revived on your website. I hope a new generation of cooks will give it a try and make it a winter staple and not reserve it just for St. Patrick’s Day. 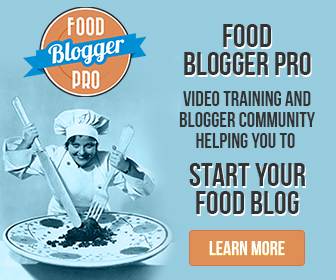 Thank you maintaining such a nice website and for all the work you do to bring us these recipes.